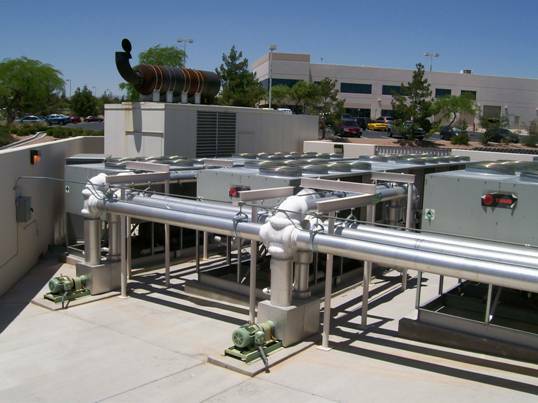 The performance of most, if not all air cooled heat generating equipment decreases inversely with temperature rise. 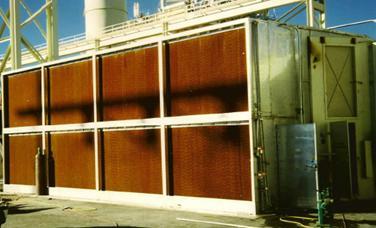 A common example of this is the air cooled condenser coils of air conditioners. 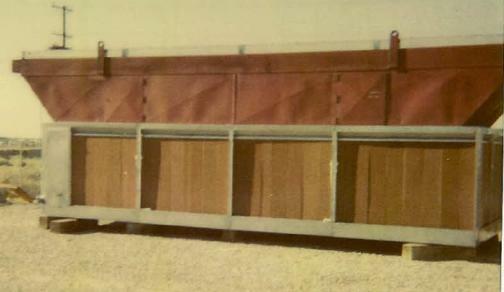 This is illustrated in the following example of a Typical Trane Chiller Model RTAC250STD, commonly referred to as a 240 Ton Chiller. The graph below illustrates this effect. 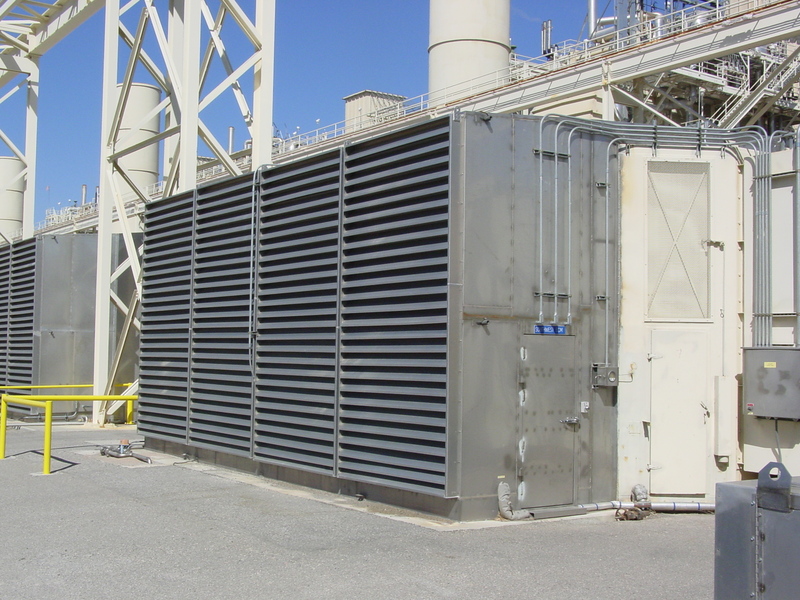 Industrial Evaporative Pre-coolers when properly designed and installed presents to the condenser coils (or equipment) cooler air temperatures that allows the equipment to operate at or near their optimum design level. Following are some examples of custom Pre-cooler installation plans. 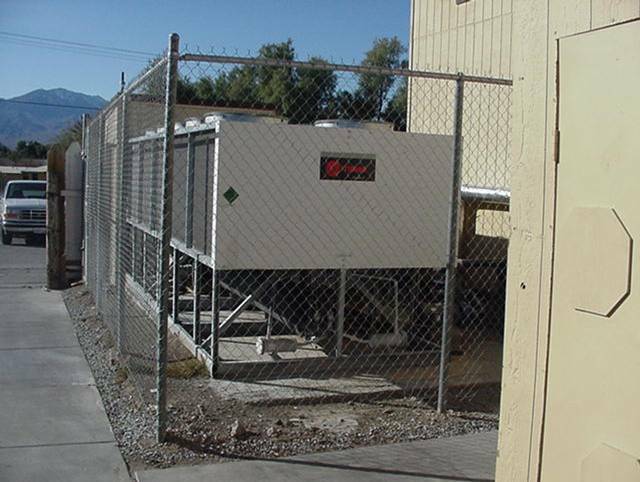 Each installation requires consideration for the existing conditions of space, operational characteristics of the equipment, climate, ease of access for maintenance, etc. 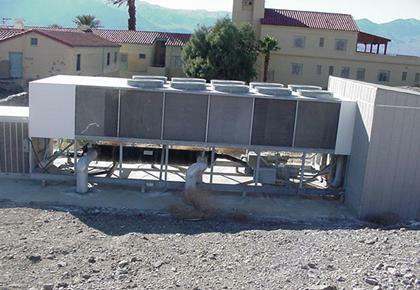 Carrier 125 ton chillers, precooler enclosure: Carrier 125 ton chiller, precooler direct attachment. 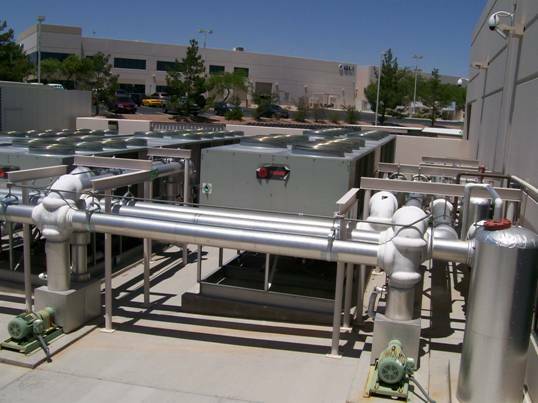 Click on the link below to go to the home page of Premier Industries, Inc. for more information about evaporative cooling and precooling.